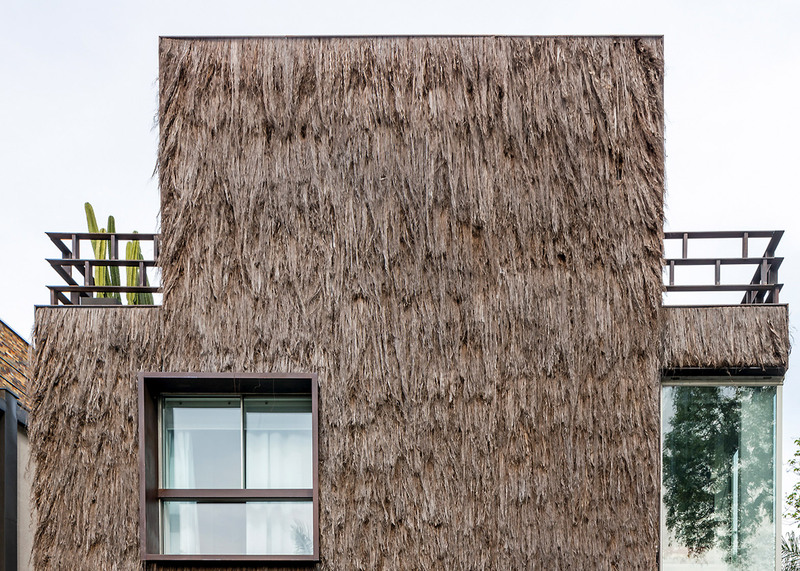 Brazilian designers Fernando and Humberto Campana have built a house in São Paulo that is covered in palm fibre to give it a hairy exterior (+ slideshow). 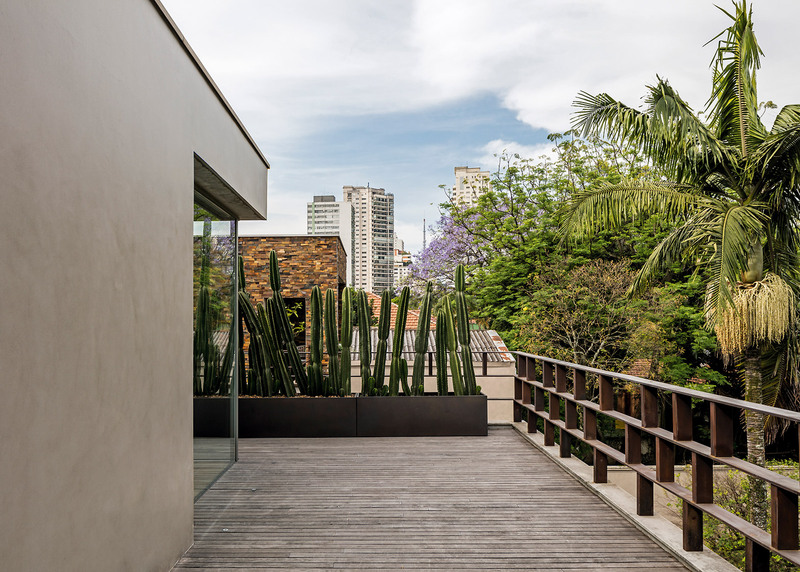 Located in the city's leafy Jardim Paulista neighbourhood, the four-storey house takes its cues from Brazil's indigenous housing, where fibres from the piassava palm are used to create a shield against the tropical heat. 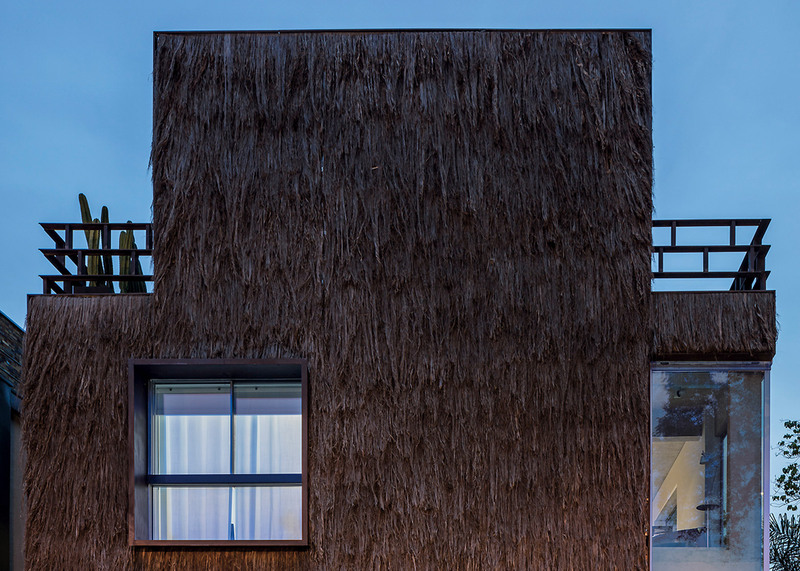 The Campana brothers – who are the latest designers to move into architecture – applied this same material to the house's north-facing facade to protect it from the intense summer sun. 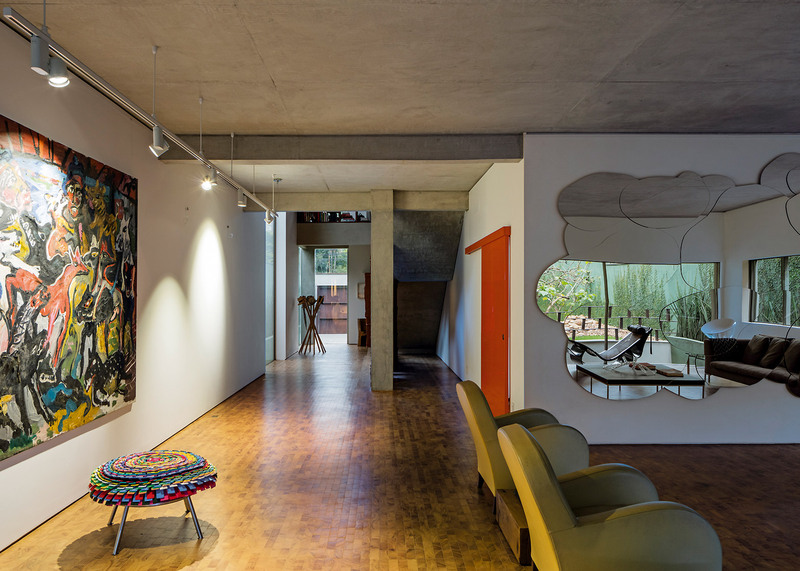 While the design duo have previously used the material to create a lounge for HSBC during Design Miami and the scenography for the São Paulo Fashion Week, this is the first major architectural project they have applied it to. 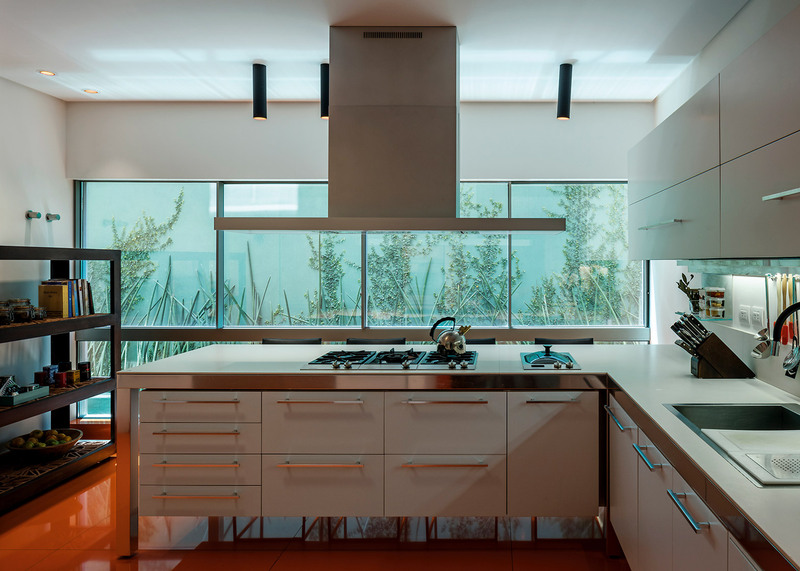 The Campanas designed the house for clients Stefano Zunino and Solange Ricoy, with whom they have a long-standing relationship. They designed the lobby of Zunino's office, and have given talks at Ricoy's branding agency. 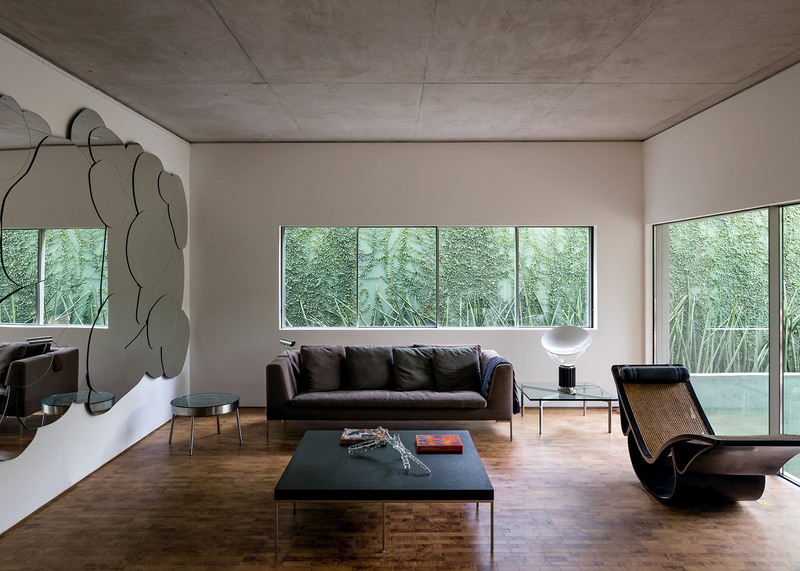 Fernando Campana described the concept for the couple's home as "a vegetable that invades the house". 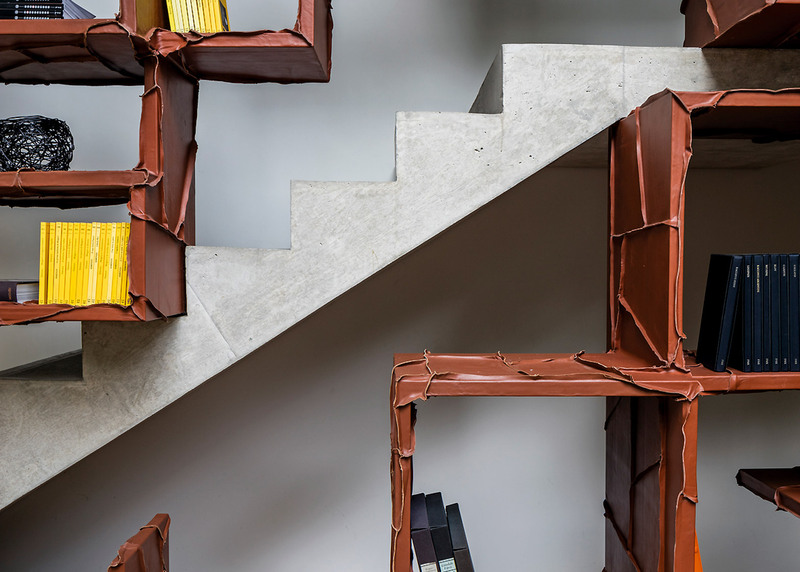 Inside, it is organised around a bookcase covered in pieces of overlapping leather, which creates a patchwork texture reminiscent of the brothers' fish skin-covered cabinet. This bookcase extends all the way up to the roof. "We wanted to create something like a vegetable that goes from outside of the house to the inside," said Fernando Campana. 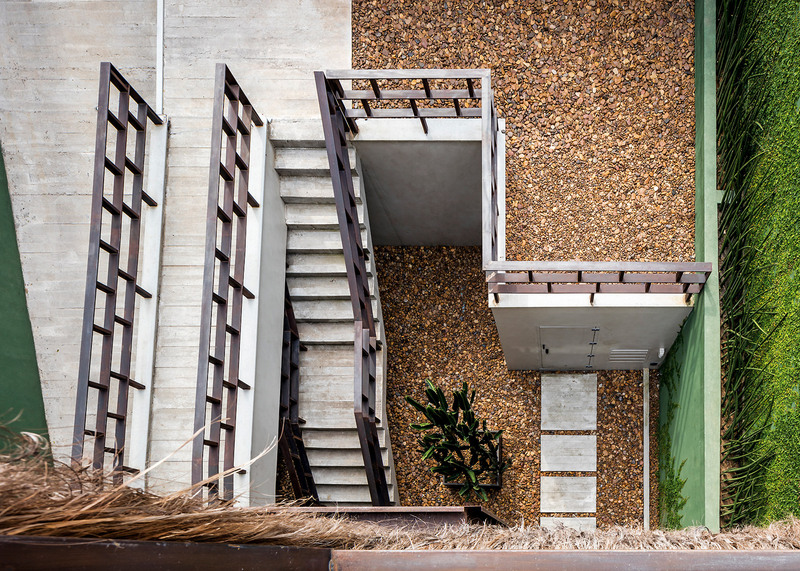 "The house is very clean, so we created those elements to bring strong, organic emotion into the house and the facade." "The house turns around the library. It's the signature piece," added Stefano Zunino. "It's like a living animal living inside the house." 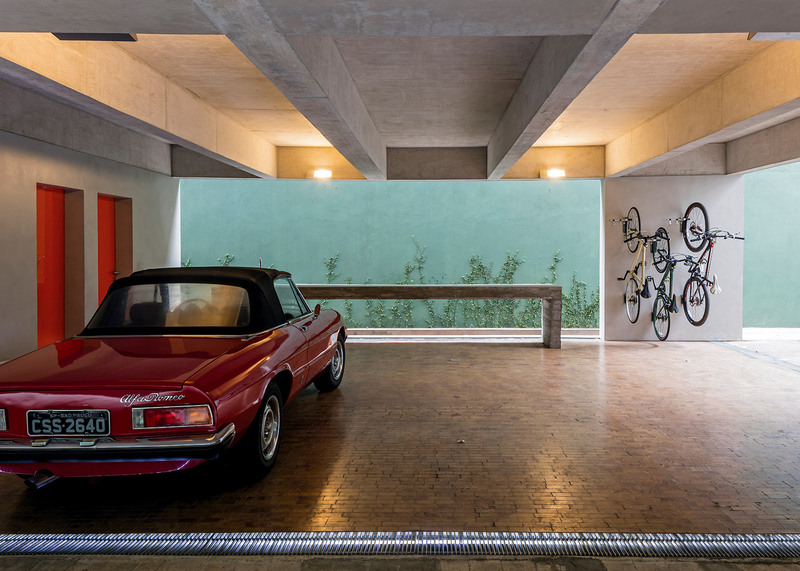 The ground floor of this house is partially sunken, creating a giant garage where the couple store their vintage Alfa Romero car, Vespa scooter and bicycles. Their primary living space is set on the storey above. 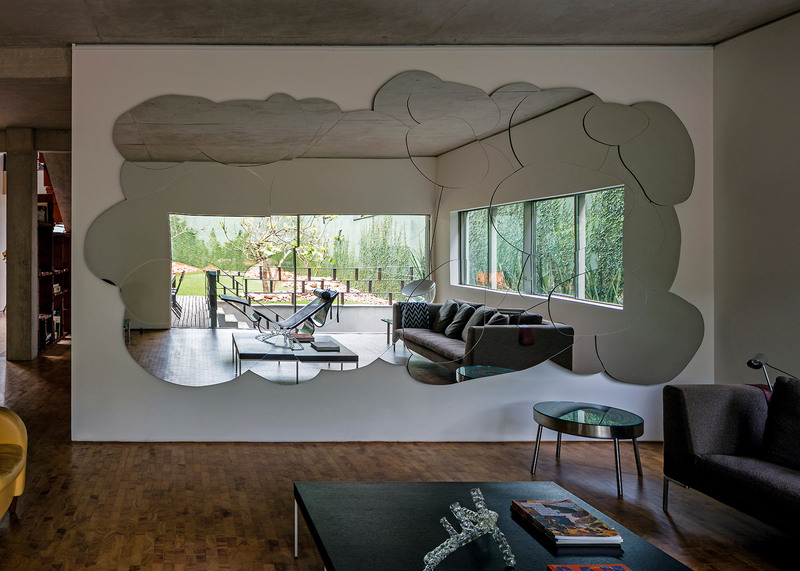 The lounge centres around a huge mirror resembling a cloud. The room also features a reclaimed hardwood floor, while the kitchen floor is covered in glossy orange tiles. 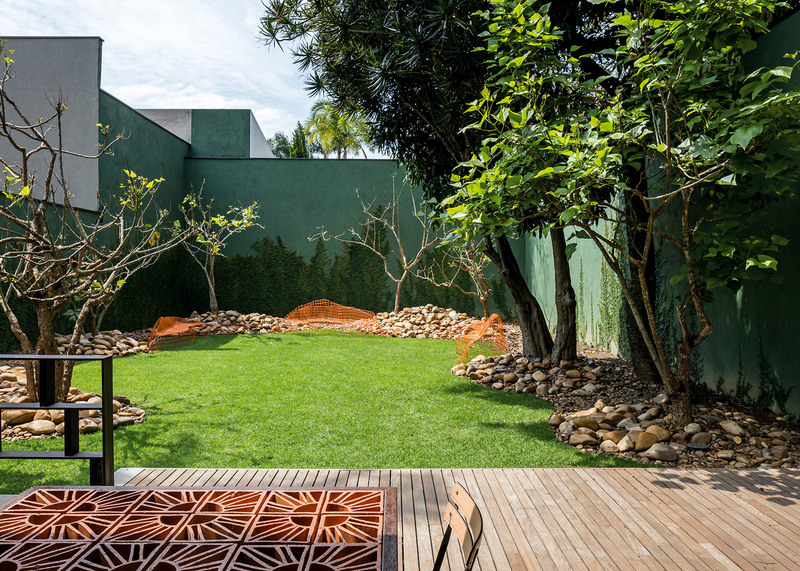 The kitchen opens out onto a terrace, which is framed by a green-painted wall covered in climbing fig and cactus plants. 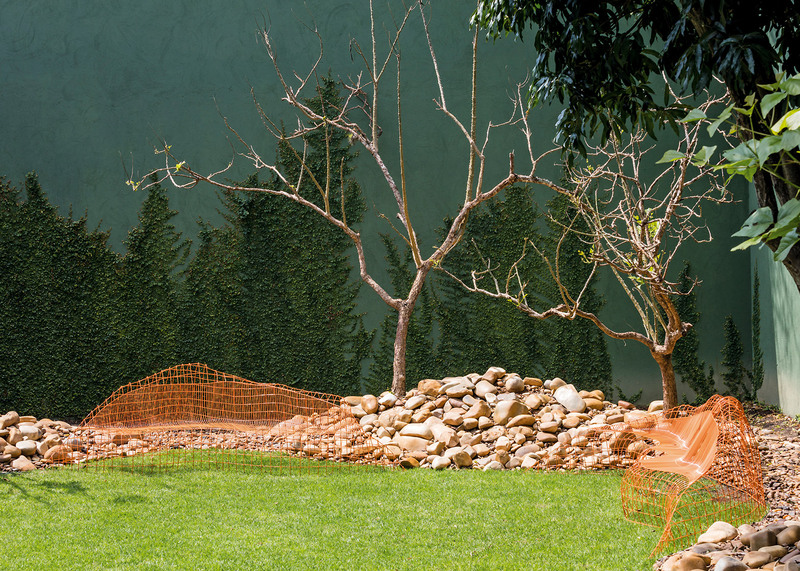 A row of tall cacti are also used to create a screen at front of the house, while at the rear of the garden, orange wire benches offer places to sit among the mango, pitanga and erythrina coral trees. 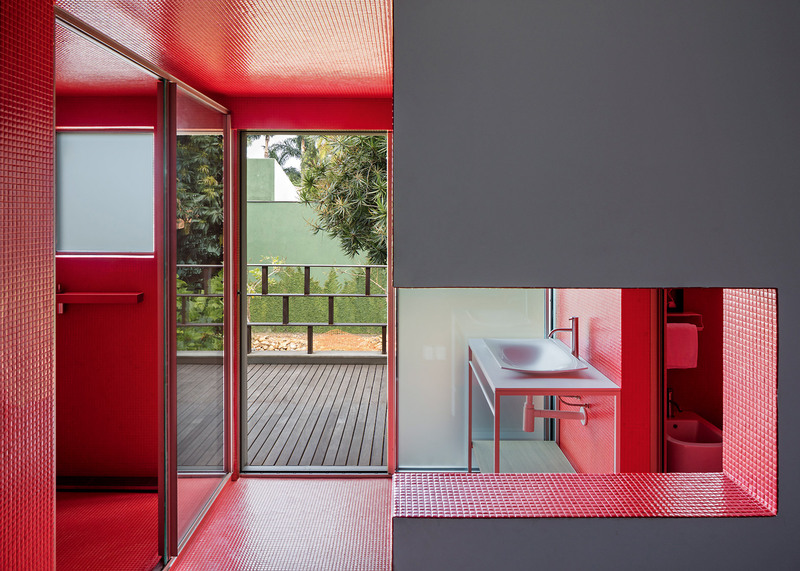 Bedrooms for the couple's two sons are set alongside a guest room and red-tiled bathroom on the second floor, while the master suite occupies the uppermost level. 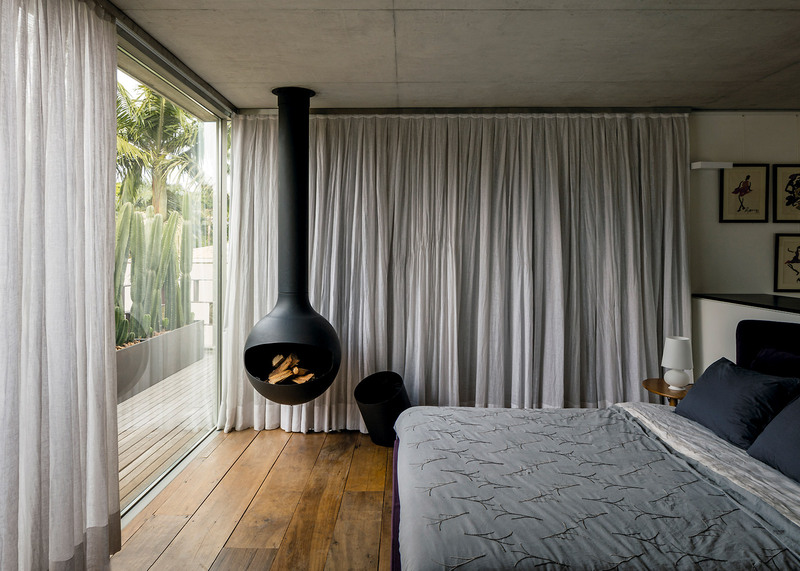 Here, a transparent roof and private terrace help to make the most of natural light, and a suspended fire place offers warmth during winter months. 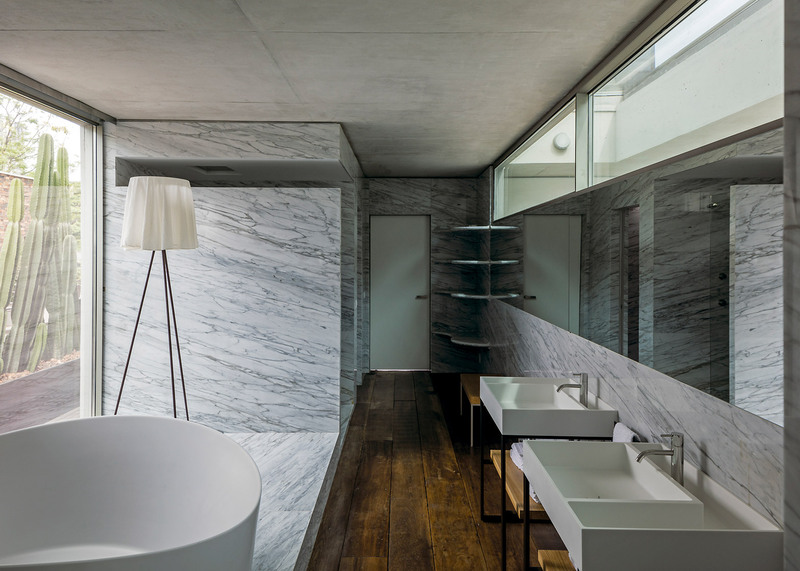 The ensuite bathroom is lined in grey-veined marble as a "nod to the Italian classicism of Stefano's home country". 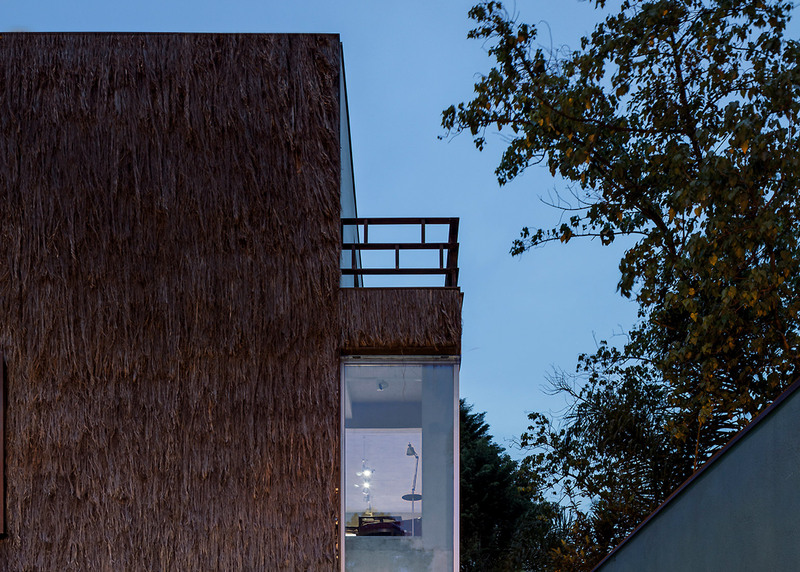 Fernando and Humberto Campana are among the growing number of designers venturing into the field of architecture, alongside Thomas Heatherwick, Piet Hein Eek and Maarten Baas. 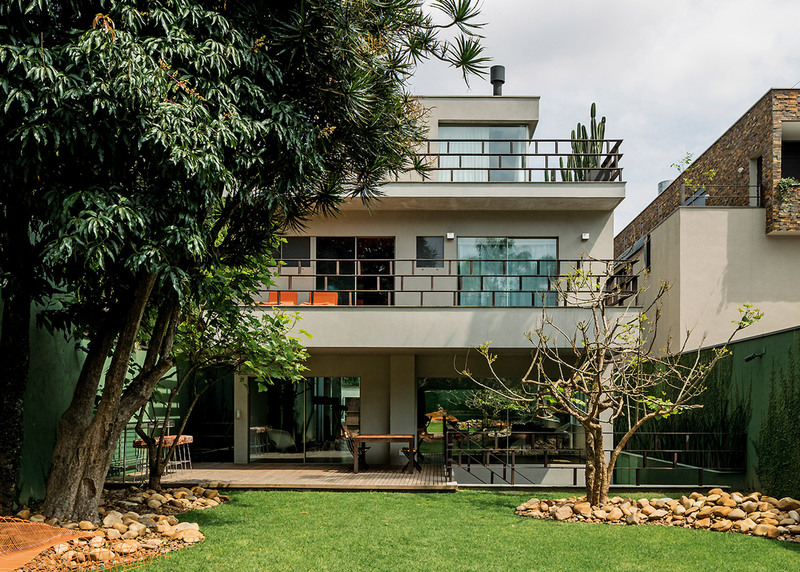 When New York-based designer Dror Benshetrit spoke to Dezeen about the trend, he said that it isn't necessary to be an architect to design buildings. "I definitely see more designers doing buildings today, and I think were going to see it more and more," he said.